Android Marshmallow (6.0) was first released on October 5, 2016. The previous version was Android Lollipop. 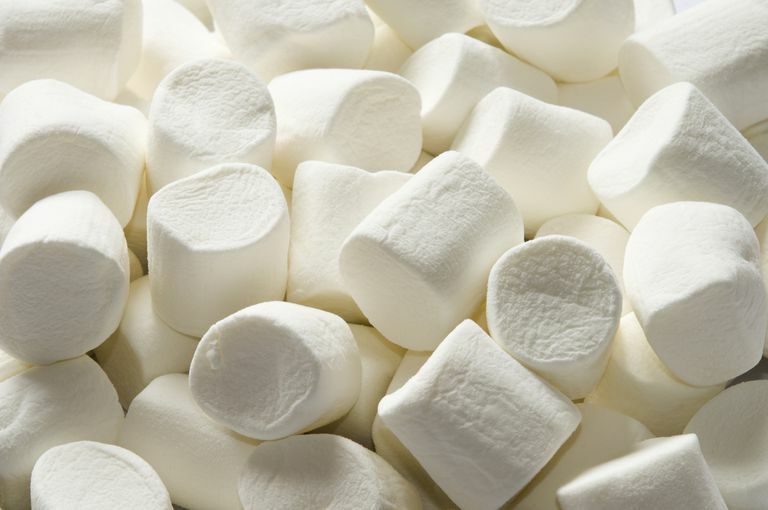 The Marshmallow release included a long list of exciting features. Some were brand new functionalities, while others gave more control over the phone. Here are the top features users discovered when they upgraded their OS. Google Wallet wasn't replaced by Android Pay. It still existed as a way to send money to friends and family, similar to PayPal and Venmo. Android Pay allowed users to make purchases at the register without having to take out a credit card. It's wasn't downloaded and set up; it was built into the phone's operating system (starting with Marshmallow). Like Apple Pay, purchases were made by tapping the phone at the point of purchase. Android Pay was also used to make online purchases on a smartphone. Likewise, Google Now, Android's personal assistant app, was better integrated with smartphones with Google Now on Tap after upgrading to Marshmallow. Rather than opening Google Now separately, in Marshmallow, Google Now communicated directly with apps. For instance, while texting a friend about going out to eat, users could view the restaurant address, hours, and rating from the messaging app. They could also find out more information about an artist while playing music, or about a movie while making plans with friends over email. Users who had a Google Pixel smartphone could take advantage of Google Assistant, which was only available on Google Pixel smartphones at the time Marshmallow was released. Google Assistant offered even more sophisticated assistance. Many people experienced a more natural conversation with Google Assistant (no awkward voice commands) and received recurring weather information without having to ask every time. If you want all these features on your Marshmallow device, upgrade the Android operating system and get all the great features that Android Nougat has to offer. Whenever an Android app is downloaded (on an unrooted phone), it is given certain permissions, such as access to contacts, photos, and other data. If the app is not given the necessary permissions, it won't work correctly or may not work at all. Marshmallow gave more control. Apps were given specific permission for what could be accessed. For example, a messaging app could be blocked from accessing the location but allowed access to the camera. In some cases, this may cause the app not to work properly. Android Lollipop offered a number of ways to save power and battery life, but Marshmallow upped the game with Doze. If an app runs in the background, the phone battery can be drained when it hasn't been touched it in hours. Doze Mode saves power by preventing apps from waking up a device with unimportant notifications, though it can still receive phone calls, alarms, and other important alerts. Android apps haven't always been very organized; some are in alphabetical order, and others are listed in the order they were downloaded. Finding an app meant scrolling through the list or going to the Google Play store and viewing the installed apps. To find an app in Marshmallow, users opened the list of apps (or app drawer) and used the Search bar at the top. In addition, the app drawer scrolled up and down as it did in older Android versions, rather than left and right. Marshmallow was the first Android version to support fingerprint readers. By the time Marshmallow was released, many smartphones had this built into the hardware, so that a fingerprint unlocked the screen. But this update meant that the fingerprint scanner could also be used to make payments and sign in to apps. Smartphones keep us connected, which often comes with a large number of message, calendar, and other app notifications. Marshmallow provided a few ways to manage these notifications with Do Not Disturb and Priority-Only modes. Priority-Only mode allowed users to decide which notifications came through and when. Lollipop volume controls were fairly complicated, but Marshmallow simplified this by reducing the complicated volume controls into a simple slider with a down arrow. Clicking the down arrow displayed controls used to independently modify the volume level for notifications, media, and alarms. Before Marshmallow, selecting and copying or pasting text with a finger on a touch screen could be awkward. With Marshmallow, sliding a finger across the text selected it and displayed a window containing all the text selection options found in a standard text editor. In Lollipop, app data could be backed up to Google Drive, but all user settings would be lost if the phone was restored. With Android Marshmallow, it was possible to backup app settings. Select your Google account as the backup account. In Lollipop, sharing things like Facebook posts or pictures was cumbersome. Users opened an app and shared content from there. With Marshmallow, tapping the share icon opened a window where users selected which app to share the content or image to directly. This reduced the number of taps needed to share things across different apps.